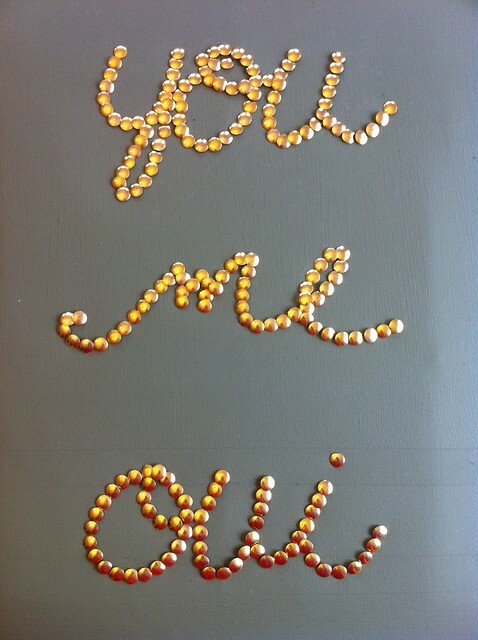 Crafting on a Budget: DIY: Thumbtack Art! 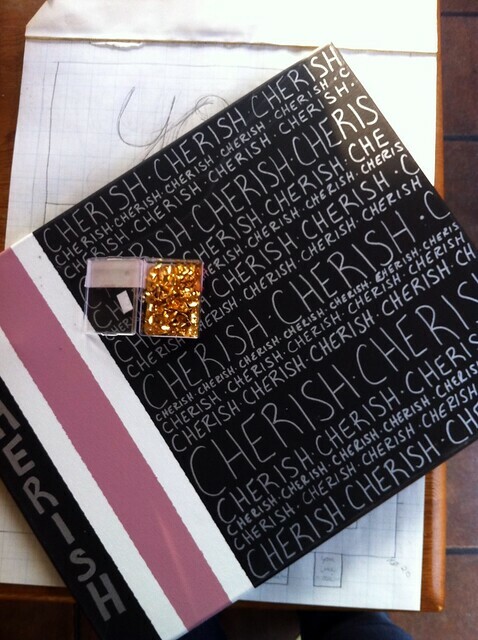 We will take a brief hiatus from holiday crafts to show you this wonderful DIY project from Things Bright's blog! We can see all sorts of quotes, song lyrics, or just fun sayings that could be used here. Perhaps even a variation that could be holiday themed? We know you can get plain white thumbtacks from Wal-Mart for $0.88 and you could paint them with any color or even use polka dots, glitter, stripes, or anything! Have fun with it. I made myself a bit of art for my wall completely inspired by Pakayla Biehn’s Neon which I featured this morning. Same for the canvas. A friend who was moving didn’t want the art she’d made for her daughters old room and didn’t want the canvases either. Guess who knew the canvases would get used for something sooner or later? Then, idea! 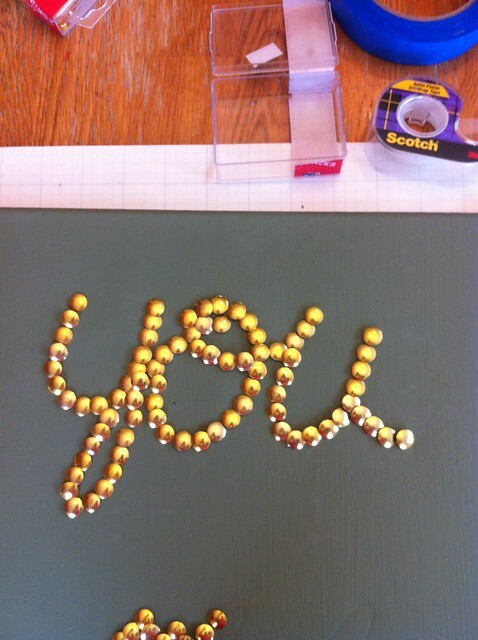 What if I made some thumbtack art? I’ve been wanting to add some metallic shine to the living room. But what to make? I thought of a compass or star…but neither felt right for the moment. And then I remembered totally crushing over Biehn’s neon sign, wishing I could have it. 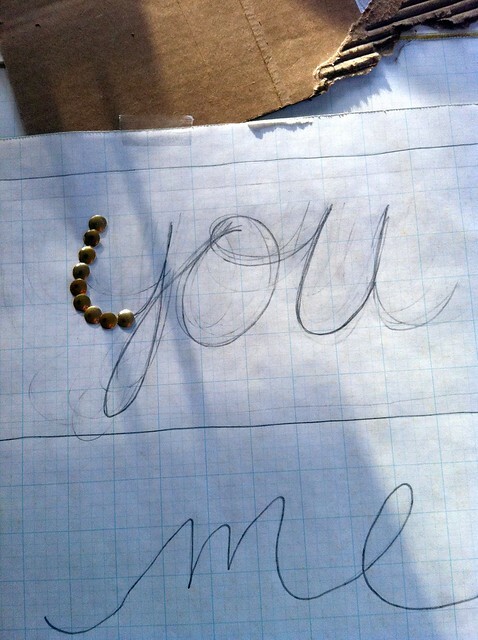 I love the simplicity and cleverness of the play on words! Once that was settled, I put my new graph paper to work. 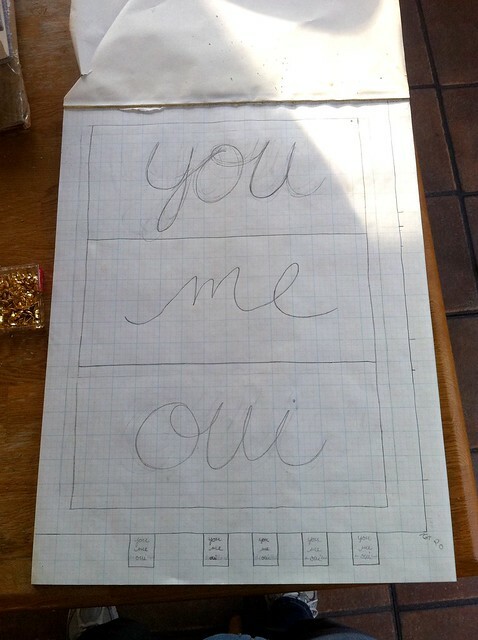 I outlined my canvas, then free-handed the words. 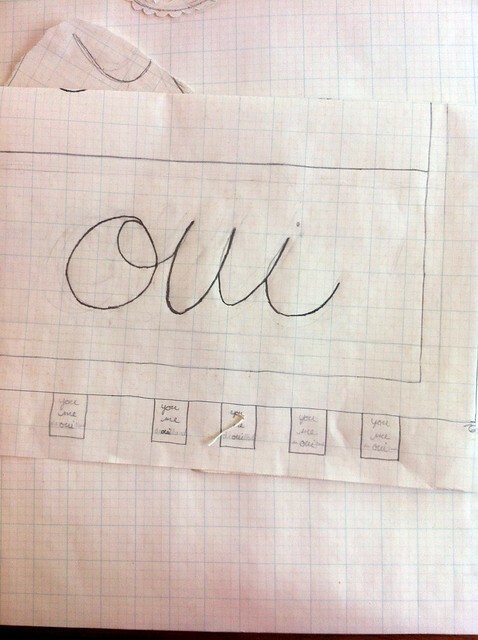 Me turned out perfectly sized and centered, and then I rewrote you and oui a couple times. It took a bit to get the Y and Os the way I wanted them. 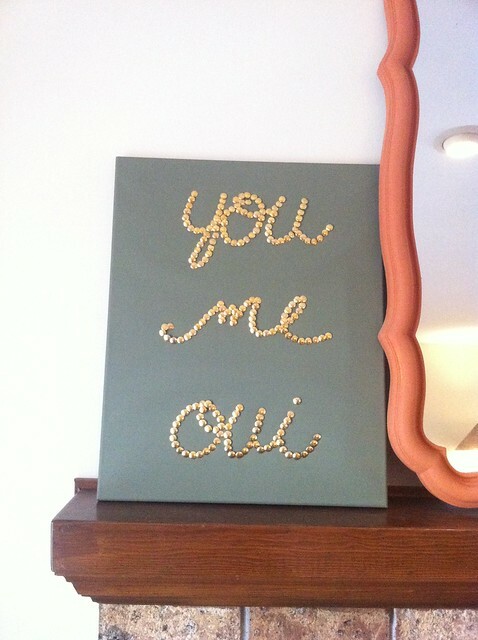 I also played with the idea of painting our last name in gloss along the OUI at the bottom. When I first realized I had to remember how to spell Drouillard, I thought, “But I took Spanish!” But even I knew oui was yes in French, so once I realized that, I was helped immensely. Ever since then, designs with oui in them, like this bag, have made me happy. But I think I was complicating the design. I couldn’t figure out how to make it look cool because putting “dr OUI llard” on there, even in a hint of gloss, brought the OUI off-center. 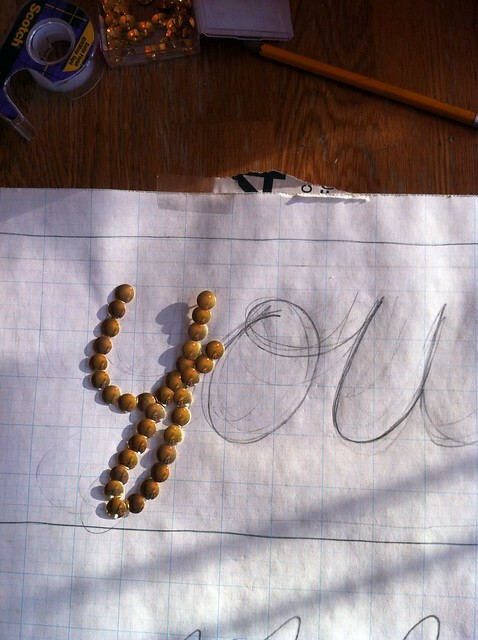 Besides, now it leaves something for people to figure out, since I didn’t literally spell it out for them. After I spray painted the canvas olive green – because I like olive green and gold – I originally started thumbing the tacks right through the paper onto the canvas. At this point I started realizing two things…. One, I was not going to be able to just tear away the paper when I was finished. Those tacks held it tight. Two, those tacks needed something more to hold onto than just the canvas. 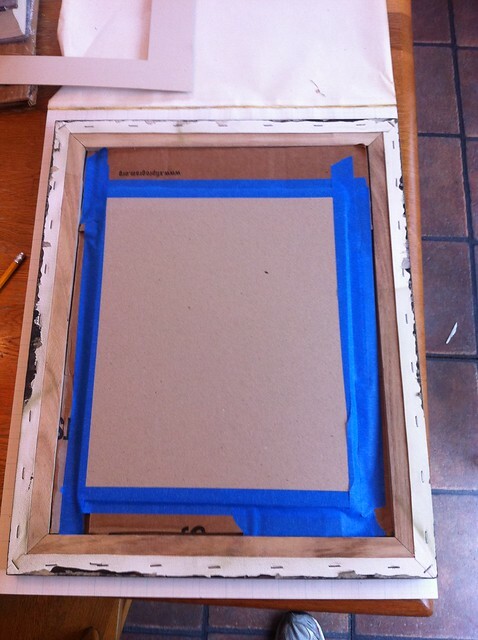 So I recycled a bunch of cardboard box pieces into the back of the canvas and taped them in with painter’s tape. I have nice brown packing tape somewhere that would have looked better, but I couldn’t find it. I’m thinking my little urchins may have used it up. That is usually the cause of “lost” craft supplies for me. I also took all the Y tacks back out, firmly, and then firmly but gently traced all the letters over a few times and put dents in the canvas. I’m sure there’s a better way to transfer these with carbon paper or something, but this is what made the fastest sense at the time. I forgot to get a good shot of that, but you can see the rest of the M and the top of the E at the bottom of this photo if you look carefully.